Every year, bicycle riders suffer an astounding number of severe injuries. Over a hundred fatalities each year occur when cyclists are involved in accidents with motor vehicles. The latest statistics show that these bicycle accidents are most often the fault of the automobile driver. Motorists simply don’t watch out for bicycle riders. As many bike riders know, automobile drivers rarely respect the rights of cyclists. This equates to serious accidents involving bicycles. There are various other reasons why accidents happen involving bicycles. Below, are several reasons for these occurrences. • Negligent manufacturers or retailers of bicycles, bicycle parts, bicycle accessories and/or vehicles. Some accidents are caused by defective products. • Dangerous conditions on public property. Accidents happened due to negligent design, maintenance, or upkeep of public property including construction, tree trimming, or other obstructions and obstacles. • Dangerous conditions on private property. Some accidents can be caused by negligent or defective maintenance or upkeep on private property. • Negligent motorists: this is the number one reason for accidents involving bicycles. Motorists make sharp turns in front of cyclists or follow them too close. They also drive them off the road or sideswipe them as they are traveling along the shoulder. In order to avoid accidents, cyclists should always use hand signals. Whenever possible, use bicycle lanes while riding. Also, do not ride with more than the legal allowable number of riders on the bicycle. Proper turn lanes should be used when possible. If you or a family member has been injured as the result of a bicycle accident, then call an expert bicycle injury lawyer right away. At Zinda Law Group, we work on your behalf to protect your rights. Our attorneys gather every piece of evidence to build the strongest possible case. If you’ve been injured, then you may be concerned about mounting medical bills, lost wages, and damaged equipment. Zinda Law Group PLLC works to see that you are fully compensated for all damages to your bicycle and gear, plus all medical bills, lost wages and pain and suffering. Our staff and attorneys are accessible when you have questions concerning your case. 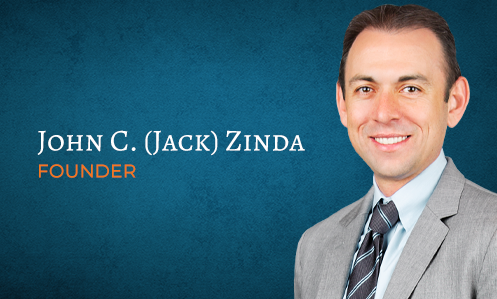 Zinda Law Group offers FREE case evaluation. We will aggressively pursue all the compensation you deserve. Choose Zinda Law Group PLLC, your Texas bicycle injury lawyers.